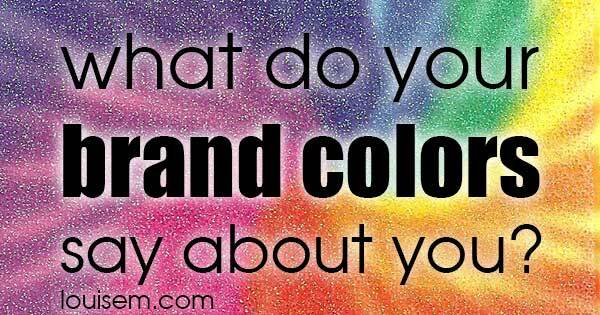 You are here: Home / Color Theory / Color Psychology: What Do Your Brand Colors Say About You? Artists and designers understand and utilize the power of color to evoke a mood, and even change behaviors. With this infographic, you too can harness the power of color! Check out the full infographic from Muse Design and see what your brand colors are revealing about you! Article continues below. Want to Learn More About the Language of Color? If you buy the book via that link, I’ll make a small commission, which helps keep this website running! You pay no more, and I appreciate your support. affiliate disclosure. Below is my crazy-viral post on favorite colors. Nearing a quarter of a million Pinterest saves! Now, you too can be an expert on brand colors! Hey Matt! Glad you enjoyed it. I love the colors! Some great looking infographics too! Nice read! Hi Louise, thanks for an informative post! Looks like I instinctively chose the right colour (orange) for my kid-related website. What about Metallic gold? Awesome article! Glad you like it, Patrick! Love this! Any way I can get the file or a poster for my high school graphic design classroom? I don’t own the copyright, but if you’re just printing it out for your classroom, it should be fine. Thanks for the infographic, Louise. Color psychology is one of my favorite things about being in graphic design. Love the list. Color psychology is so fun to analyze! Love the usage of colors in logos and how they affect our minds. Glad you like it! Thanks for your comment. Appreciate if you’d use your first name next time, as we don’t allow keywords as names. I love your content. Its great and I would like to use it at btechlife.com. Thanks For Such content and please share some more content like same. In general, you may post the infographic if you link back to the original. This will serve as a guide to make your own unique designs and idea, that can be eye catching. I’m glad you found it useful, Dave! So I was right, colour does matter and plays imp role. Designing a logo for women apparels , what colour would you suggest ? So much depends on the style, price, and age range of your clothing line. See what similar ones are doing. Best of luck with it! Can I use more than two colors for my logo when considering background and not the text? Sure, you can use as many colors as you want. Using one or two colors makes it more memorable though. Glad you liked it, Ian! Man the colors pink, red, and black definitely describes who I am. Those colors absolutely describe my personality and sometimes changes the mood I’m in. I’m shy but outgoing too. If you talked to me you’ll be so surprised about my demeanor and personality. You sound like a very interesting person, Brittany! I found it really interesting learning some of the emotions you can feel from color. I appreciate you including some different company logos as examples. This can extend to many aspects of life and marketing. It can apply to flowers you may want to get someone or even jewelry. Hi Louise! Thank you for the article! I enjoyed it very much! It was one of your infographics that caught my attention on Pinterest while trying to find ideas for a new Social Media site, is this something you think you can help with? Sounds like an ambitious project! I can’t help, but wish you luck.